In the 1950s he studied with Olivier Messiaen, Pierre Schaeffer and Karlheinz Stockhausen. In 1960 he joined the Office de Radiodiffusion Télévision Française, and in 1966 was put in charge of the Groupe de Recherches Musicales (GRM). In 1975, the GRM was integrated with the new Institut national de l’audiovisuel (INA) with Bayle as its head, which post he held until 1997. During these years he organized concerts, radio broadcasts, seminars and events celebrating individual composers, supported technological developments (Syter, GRM Tools, Midi Formers, Acousmographe) and was behind innovations such as the Acousmonium and the INA-GRM recordings label. After leaving GRM in 1997, he founded his own electronic music studio, the Studio Magison, where he has devoted himself to research, writing and composition. In the world of electronic art music, Bayle is regarded as one of the most distinguished composers; his influence is widespread (particularly in France, Europe and French-speaking Canada) and his music has earned some of the most prestigious musical prizes (SACEM Grand Prize for Composers, 1978; National Record Grand Prize, 1981; Ars Electronica Prize, Linz, 1989; City of Paris Grand Prize for Music, 1996; Homage by the CIME of São Paulo, 1997; Charles Cros Presidential Grand Prize, 1999). 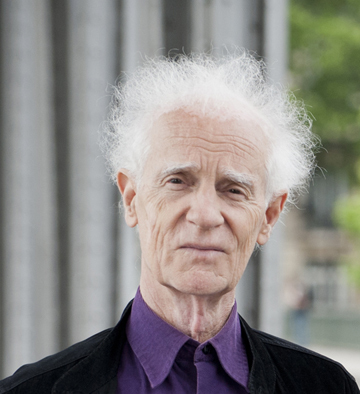 Doctor honoris causa/Université de Cologne, 2006; Grand Prix de la Fondation Del Duca/Académie de France, 2007; Qwartz Pierre Schaeffer, 2010; Prix Arthur Honegger, 2011. In 2012, InaGrm edition 15Cd Box entirely of his music have been released, an exceptionally large number for one composer in the annals of electronic art music. In 2012, François Bayle is taking part in French documentary Musique(s) électronique(s) directed by Jérémie Carboni.